Can you mow it? Of course! Mow it every 3 weeks to maintain a manicured look or you can leave it unmowed for a natural meadow look since its maximum height is just 6″! Is it safe for kids and pets? It’s perfectly safe for dogs to nibble on and it was developed for regular foot traffic, so you’re A-Okay! And it is highly resistant to pests and diseases, so even better! Will it fill in or will it look clumpy? It should fill in within 3-4 months and look just like a regular lawn. No clumpiness! Is it like Bermuda? Sorta…it’s like Bermuda in that it spreads by sending out runners – but UC Verde’s runners stay above ground – it is not invasive and does not send runners underground like Bermuda. It also goes dormant in the winter, from around November to February, but come spring it will green up again! Also, during dormancy you can get away with watering it just a few times in the winter or not at all! Can I get it in seed or sod form? Nope sorry, UC Verde produces hardly any seedheads – so no seeds to speak of (which also makes it great for those with allergies though) and because it has such a deep root system reaching down 6-8 feet, it is also not available in sod form. How often will I have to water it? Initially, you’ll water it every day to encourage it to spread, slowly reducing watering after approximately 4 weeks. And once it is fully established in 3-4 months, you should be down to once a week watering to keep it green! Is it good for shade? Unfortunately, UC Verde has very delayed to little growth in very shaded areas. We only recommend it for full sun locations. It needs 6-8 hours of sunlight daily to grow well. Where did this grass come from? UC Verde Buffalograss was bred by UC researchers from Davis and Riverside specifically for the hot, dry climates of California and Arizona. If this is bred by UC Davis, do I have to buy it from UC Davis? We are one of the very few licensed propagators of UC Verde and you can purchase it from us on our website at www.ucverdebuffalograss.com or call us a 559-275-3844! We are located in Fresno. For more info visit us at www.ucverdebuffalograss.com and don’t forget to like us! We told you about using sheet composting to remove your old lawn without using chemicals…but, there’s yet another way – soil solarization! Basically, you’re going to use the sun and plastic to cook the crap out of your lawn until it’s no longer living!! There is an excellent how-to on it here by Nan Sterman! Now how awesome is that!?! Before you install your new drought tolerant UC Verde Buffalograss lawn, you’ll have to remove your existing lawn first! We usually suggest a method involving multiple applications of an herbicide, but some people prefer a method that is more Earth/pet/people-friendly and we can certainly understand that! 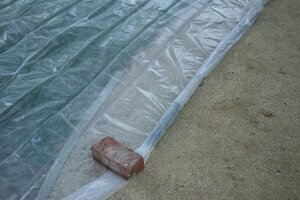 Unfortunately, sheet composting isn’t the right option for everyone. If you’re in an area that is too hot and dry or too cold or too wet, or you have Bermuda grass, this might not be the right option for you. Read more on how to remove your lawn without using chemicals here! I hate the cold, so I’ve been enjoying the warm sunny days, which are a bit unusual for this time of year here in Fresno. Unfortunately, these 70 degree days are doing nothing to help with California’s drought situation. Governor Brown has even declared the state in a drought emergency asking all its citizens to cut back “at least 20% of their water use…We ought to be ready for a long, continued, persistent effort to restrain our water use”. 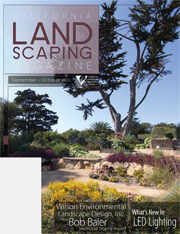 Learn more about UC Verde Buffalograss, a drought tolerant lawn alternative. Check it out! 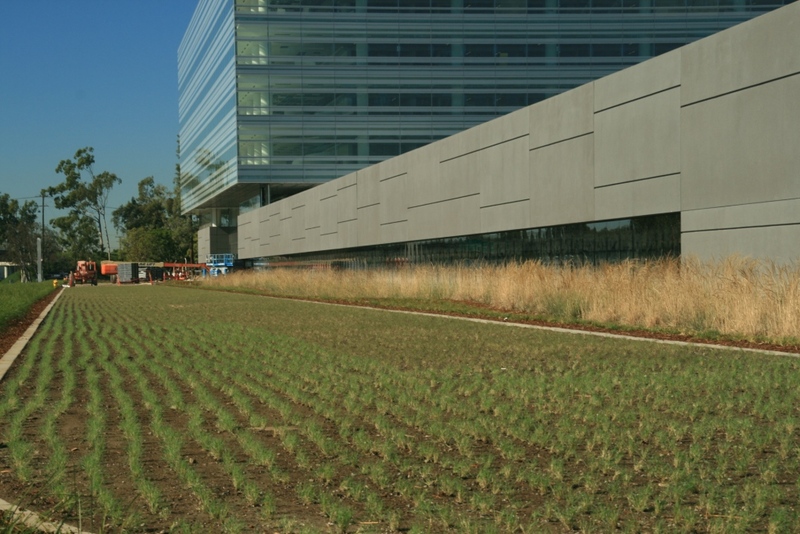 UC Verde Buffalograss installed at Hyundai Motor America in Fountain Valley, California!